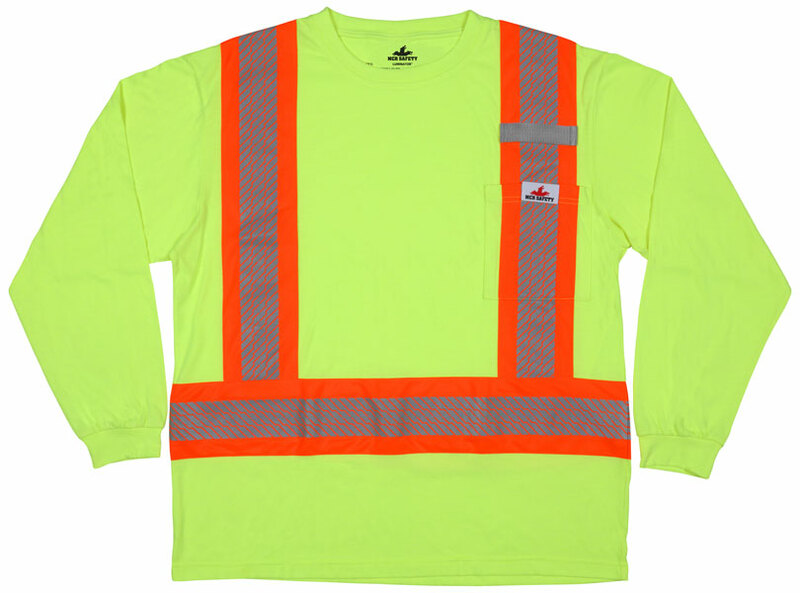 MCR Safety’s LTS1 Class 1 t-shirt is ideal for those who need a lightweight and comfortable high visibility option. Made of blended lime polyester/cotton fabric, this long sleeve shirt is perfect for all day wear. Features include 2” silver segmented reflective stripes centered on 4” orange fluorescent stripes. Also includes one left chest pocket with hook and loop closure and one left chest mic-tab holder. Stand out in a crowd with MCR Safety's High-Visibility gear.